The tangled plot with some confusing turns and boundaries can be summarized as follows. Three deceased brothers with heritage of thousands of dollars and heirs (two heirs and one outsider daughter) in several judicial fronts continue to support a small village of La Para, 150 kilometers from the city of Cordoba The story. It all started. 14 years ago, when Normi ​​Titti She knew from her stepfather that she was the daughter of a man. Pedro Titi. Normi ​​knew him: to that moment he was often a friend of his family who visited his house. He started. Reconciliation process I decided it was true Actually. that is Pedro Titi Own together His brothers Isidro and Ciriaco, Extension of land 362 hectares are suitable for cultivation and cultivation of mountains, rivers, The bill has an approximate value of about $ 8,000 to $ 10,000 per hectare, according to the Commercial Court's No. 8.. In the field they engaged in agricultural production. They built the land, raised the cows and sold milk. All three died. Normi ​​will be the heiress of his father without any other descendants. At this point, however, other actors in current judicial competition appear. Liliana (35) and Jedda Bas Aldo (30) They are the daughters of workers who work in Tambo, located on the same property. they They accompanied Titti in a very small one. Liliana is the oldest of her sisters, Liliana, who has known her since she was nine, and has been working with them since the age of 15, working at home, cutting trees and caring for animals. He currently owns the house where Titti lives. In 2008, At 22, Liliana married Isidrotti., At that time 80. They have a daughter. 9. Two years later, her husband died and Liliana left part of her husband's field. Also Ciriaco who died in 2010, Previously signed a donation certificate He left Liliana as part of the land.. She managed two – thirds of the total land. For those years and since he knew about his link Normi ​​says he showed interest in maintaining a relationship with his late father I always reconfigure a bond that was one of friendship This has always been prevented.. Blame it on Basualdo sisters. As time passed, the sophistication among the women was increasing. "I had a zero relationship with my uncles because it was impossible for me to get close to my dad because she (Liliana) got into their lives." When I crossed the village from here, I knew she was very nervous . Moment El Dorois. In 2016, another line was added to the already strained women. The court declared that Pedro Titti was inappropriate. "Mental cognitive emotion" and We have limited our ability to manage and dispose of our assets.. At that time, Pedro was 84 years old. A few months later, Nilda Basualdo He married him. artist, Normi ​​asked for the nullity of marriage with firm conviction that his father never agreed.. As the judicial process proceeded, Pedro died in June last year. Two months later, the family judge agreed with Normi ​​and canceled the marriage. This resolution was appealed by Nilda's lawyer, and a Family Chamber must be issued on this point. This resolution is expected over the next week. 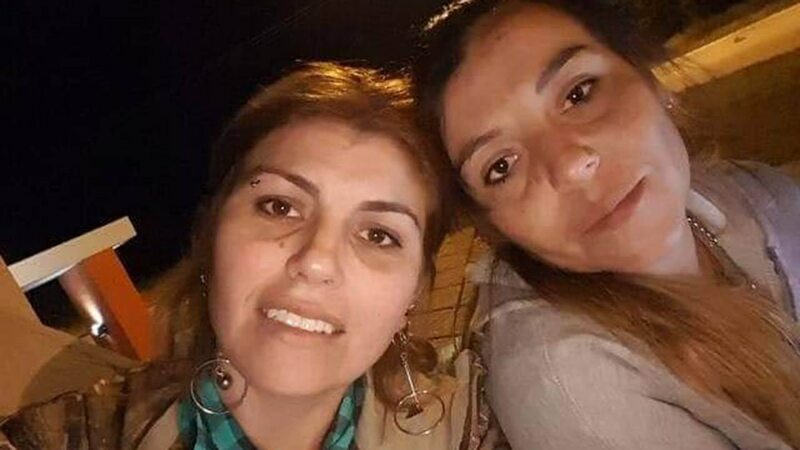 On the other hand, Nomi took legal action against the Basualdo sisters and their former lawyers, taking into account the fact that they used the condition of the elderly. Bypass the incompetent crime. Together he planned Pedro's assets against his will. A known story of a story with a different face until then, the story of Basualdo, Who was away from the exhibition and now They came out to respond publicly. Talking about their facts, they tried not to sell real estate and confirmed that marriage was simple. Through years of work, the owner's willingness to reward in this way. "They decided to marry, no one forced to", Liliana Infobae. "This girl is desperate to get a legacy. I am not a millionaire or something like that. Areas I will not sellI will not touch it because it is mine and my daughter. I live with it. If she wants to sell tomorrow, good things will go on sale or a scam auction. Because nobody will do their part and no one will buy the fifth part. " "For me, marriage was simply an elderly person you care for, giving him breakfast, taking him to a doctor, cleansing him, and accompanying him. I had no privacy. Until the last day, we take care of Pedro with great honor and affection. ", Synthesized on his side Neil. Liliana detailed the current situation of the 362-hectare field. He said. His name is 176 hectares., Rent is until 2021. Rent is an income source. Thereafter, there are 40 hectares of forests and unproductive areas for cultivation. The rest was sold.. "I had to sell it to pay attorneys for these years," he explained. Total land Pedro Titti owns 41 hectares. That number is clear from your will. According to women, the problem of judicial Normi ​​wants to maintain one-third of the total area, or 120 hectares. In this context, women are accused of wanting to keep that part of Pedro's land. The investigation is in the hands of the inspectors. Gustavo Dharma And when it can be transcended from court, it is near to trial. But there is more. Liliana expected it next week. I will give a presentation on questions about the merger of Normi.. His suspicion is that the process of extracting the DNA sample of Pedro Titti has been harassed by negativity. "We are the daughter, the paternal is suspicious," he said. "I never thought I would disclose all of this publicly because I was wrong because of all of this and I think it's bad for a lie that says she will not let me keep watching Pedro. No one appeared when he had to look after him. She never saw it because she did not want it. "I closed Liliana. The contest has several fronts in the Department of Justice. There are still a few chapters in the story. Meanwhile, 3,500 residents are staying in small towns, and there are creeps that keep the novel in check. The heartbeat can predict how long you will live.